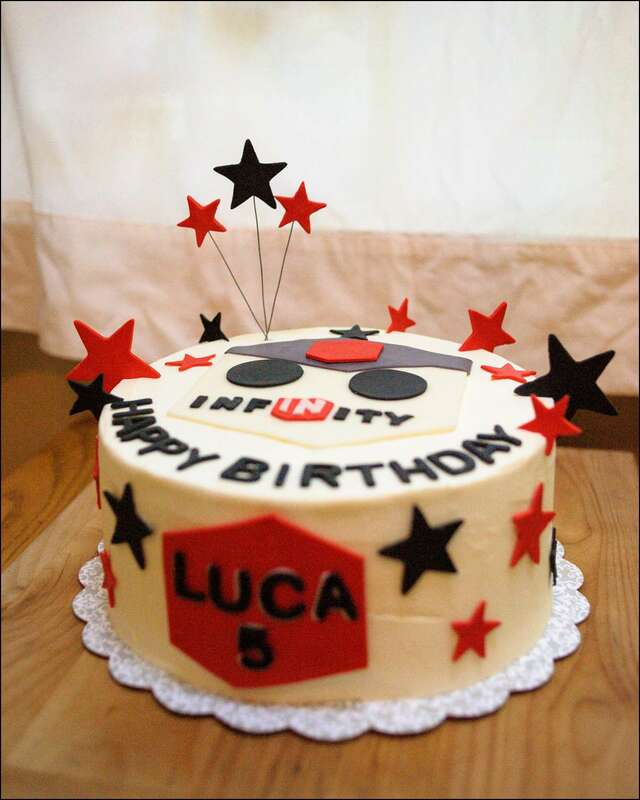 I have to admit, I didn’t know much about Disney Infinity when my client called to ask me to make a cake for her son’s birthday. Actually, I knew nothing. My kids really aren’t into Disney anymore, so I though this was a new Disney movie I just hadn’t heard of yet. S, I googled it and the search kept coming up with all of the characters I already knew….Toy Story, Cars, even Nemo. What??? It took some research and my kids enlightening me to figure out it was a new video game! 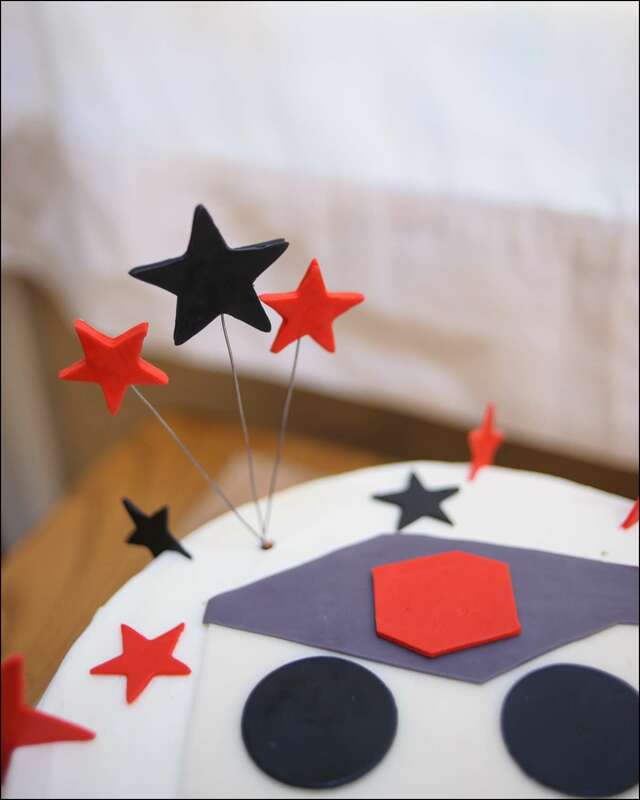 Since my client wanted to use her son’s game pieces on the top of the cake, I googled the game console and logo and cut them out by hand from red, black and gray fondant in a size to fit the 10″ key lime cake, iced with lime buttercream. 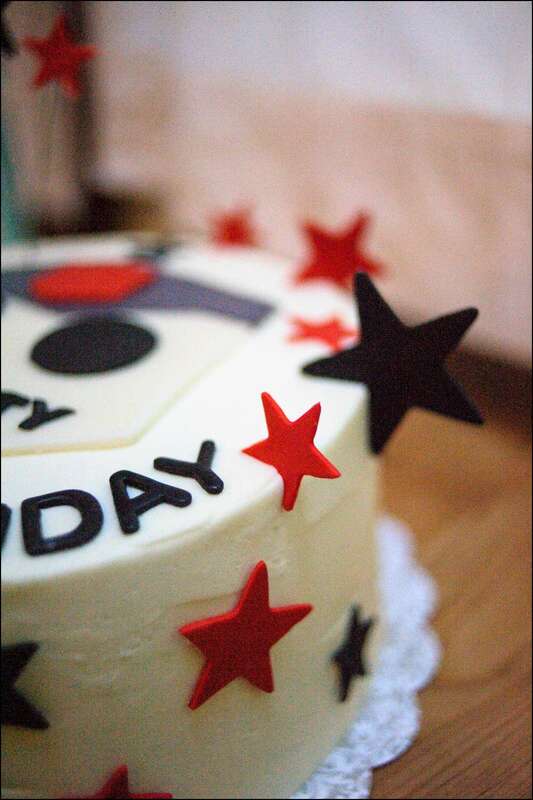 I also added red and black stars of different sizes and a name plate and happy birthday sign with letters cut using my Wilton small letter cutter set. The icing and filling are lime buttercream (made from silky Swiss meringue buttercream flavored with fresh lime curd). 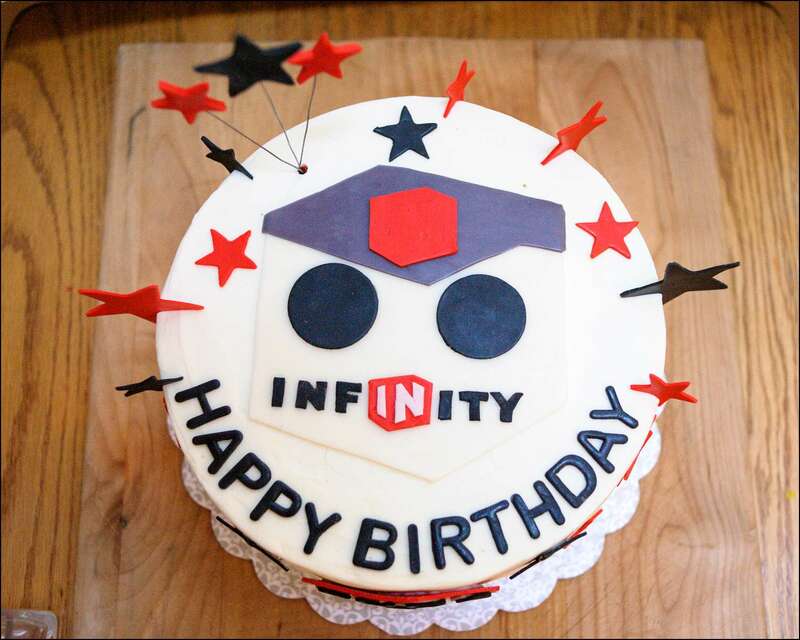 This was a fun cake to make and I now know all about Disney Infinity! 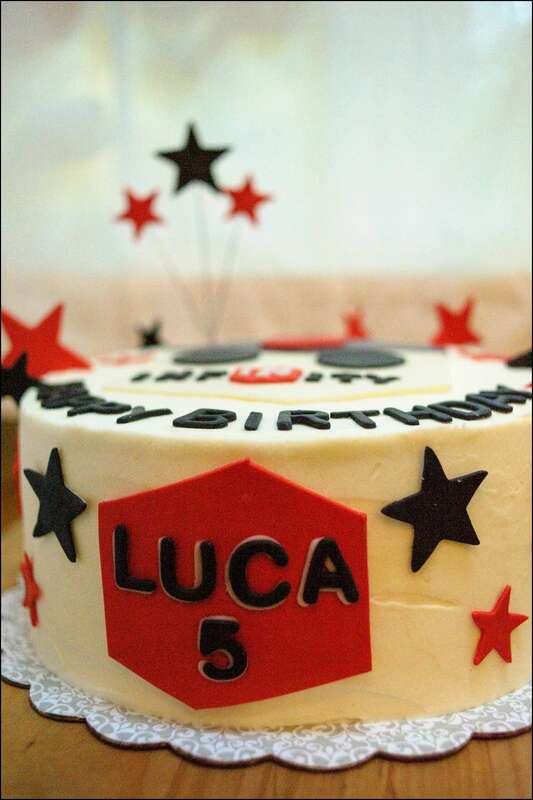 Happy birthday, Luca, hope it was a great one!